This photo of the 1913 Strike Singers, superimposed onto a historic strike scene, was taken from the Carnegie Museum Facebook page. Houghton’s Carnegie Museum will be holding a Holiday Open House tonight from 6:00-8:00 pm. 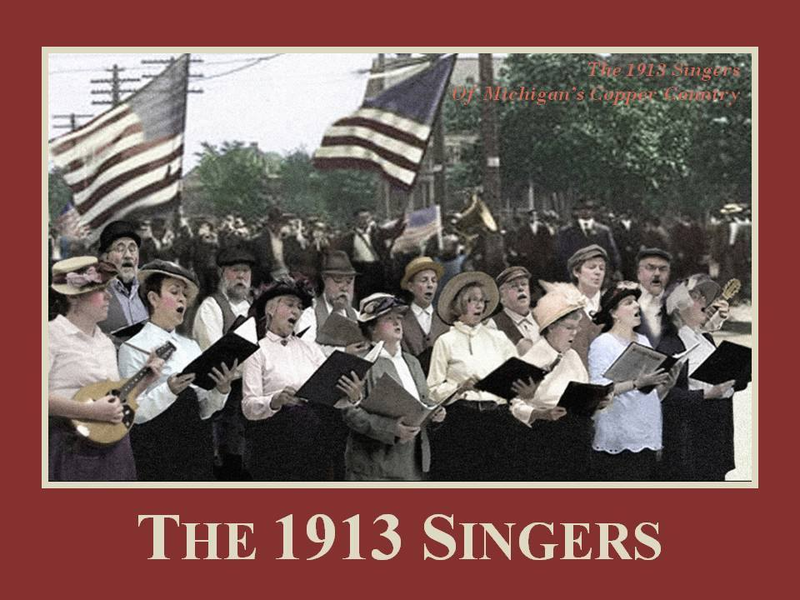 The 1913 Strike Singers, who have performed in various venues throughout the centennial commemoration of the 1913 copper strike, will be performing at the open house as well. The concert portion of the open house begins at 6:30. The public is strongly encouraged to join in the festivities, including song, exhibits, and the display of the traditional gingerbread village. This event is free and open to the public. For more information please contact the museum at (906) 482-7140.